De-Zhu Li received his PhD from the Chinese Academy of Sciences (CAS)’ Kunming Institute of Botany (KIB) in 1990. He worked at the Royal Botanic Garden Edinburgh from 1993 to 1994 as a Ferguson Fellow and at the Cambridge University Botanic Garden as the Taxonomist from 1994 to 1996. 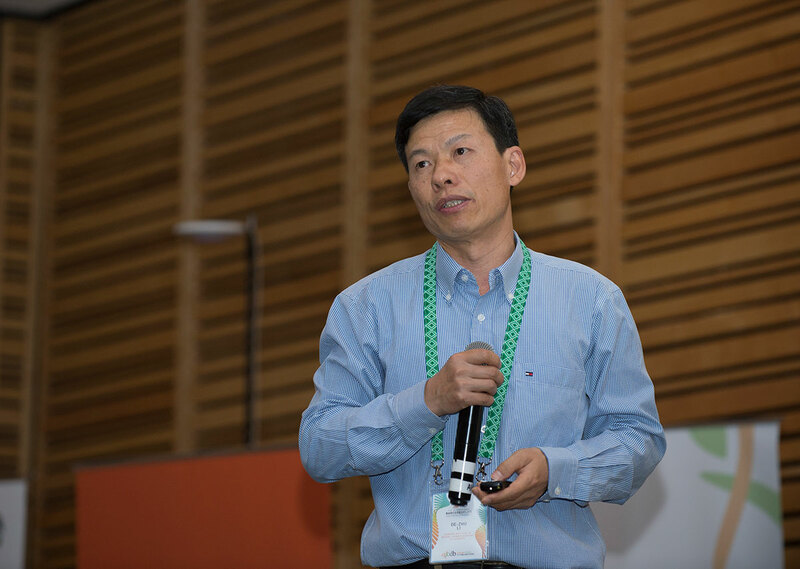 He is now a Professor of KIB/CAS, the President of CAS Kunming Branch, as well as Vice President of the Botanical Society of China, and the Representative of China for the International Barcode of Life project (iBOL). Prof. Li is an associate editor for Proceedings of the Royal Society B – Biological Sciences, BMC Evolutionary Biology and PhytoKeys, and on the editorial boards of Journal of Systematics and Evolution and Kew Bulletin. He was awarded to an OBE in September 2010 for his contributions to China-UK botanic exchange and the promotion of biodiversity conservation. His research interests focus on plant systematics, biogeography, plant DNA barcoding and germplasm conservation. He has authored some 370 papers, including 240 in international journals, including PNAS, Trends in Plant Science, Systematic Biology, New Phytologist and Molecular Ecology. He has authored or contributed to 21 monographs and books, including the bamboo account of the Flora of China, and is the editor of the Chinese translation of Plant Systematics, A Phylogenetic Approach (3rd Edition).